Our new RACE BRED & RACE READY engines have arrived! With 14+ Reliable horsepower, these new engines are identical to our ST1 Performance engine but with internal work to bring it inline with other high performance competition engines in use. Designed to be competitive at ICDKC track but compatible with most other club regulations. Our COMPETITION GT & RS engines are bone-fide race engines, designed and assembled to endure the rigours of racing and will endure continual high-rpm running consistent with racing. Don't be fooled by other manufacturers claiming their engines are the only race designed engines - all engines can be modified for racing purposes - there is no such thing as a 'race designed' 4-stroke 200cc engine, all race-engines start with a standard base engine and are built from there up. All of our engines are hand-assembled by a leading Australian technician specialising in Honda power equipment. Trust your engine will last your race every time by ensuring it's built professionally and reliably by a known company. 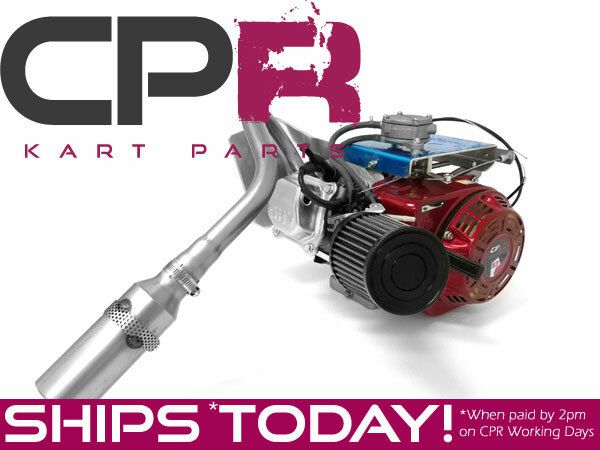 CPR engines give you peace of mind reliability, and amazing power outputs! Rev your engine safely, and smoothly with our 26lb rev kit Installed! 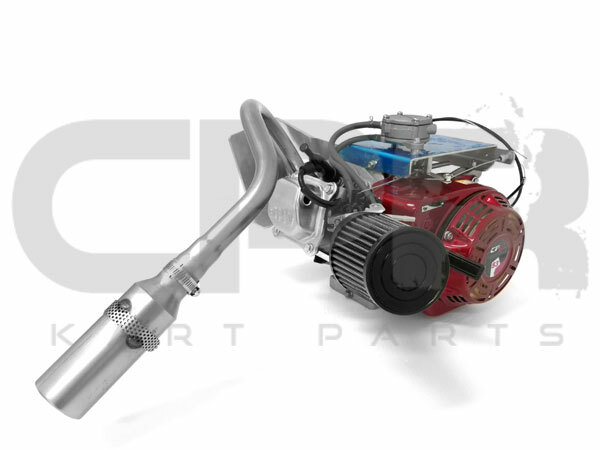 in addition to our standard engine with the complete upgrade kit fitted (inlet & exhaust) with all panels and external fuel pump, this engine is ready to race legally out of the box. Lifan equipment will keep you running. All Lifan engines are Industrial Grade and feature cast iron sleeves, automotive grade rods, pistons, rings, crankshafts, valve and valve springs.The Lifan Overhead Valve (OHV) design provides better fuel efficiency, quieter operation, and longer life. The Engine is ideal for go kart use. 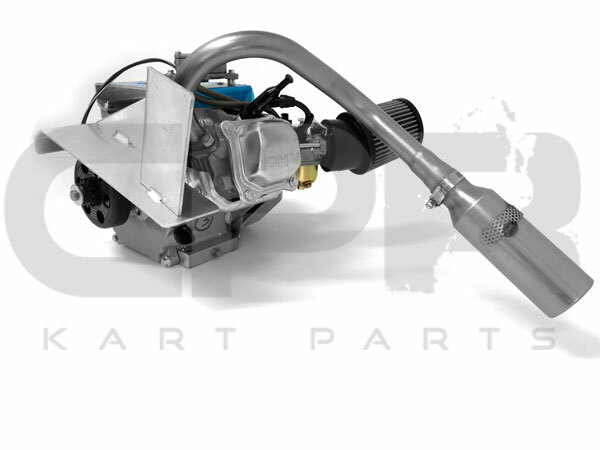 The Overhead Valve (OHV) design provides fuel efficiency, quiet operation, and a long life. The engine features a horizontal-shaft design for go-kart use. Our NEW performance pre-built engine has just arrived. 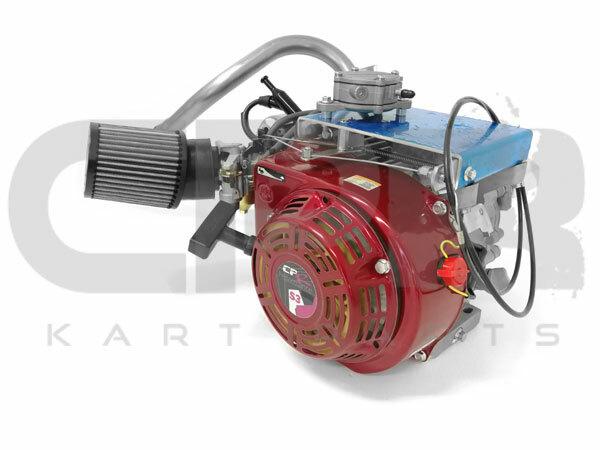 Identical to our standard engine with the complete upgrade kit fitted (inlet & exhaust) with all panels and external fuel pump, this engine is ready to race out of the box. Even the governor has been removed for your convenience. 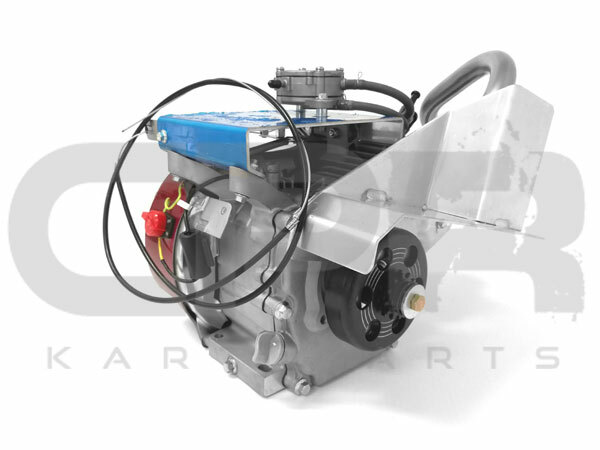 This unit is supplied with 12T #35 SR Clutch and Throttle Cable to suit all go-kart pedals, Toolkit and owners manual with all setup details including valve clearances etc. A comprehensive package. Go racing on the cheap!